Pacers president of basketball operations Larry Bird just held a press conference to announce that the team will not be renewing head coach Frank Vogel’s contract. Bird said the decision came from his belief that the players needed a “new voice,” and called it one of the toughest he’s made. So where do the Pacers go from here? The list of available head coaches doesn’t feature any real sure bets, and it’s hard to imagine another coach getting more out of this roster than Vogel did. 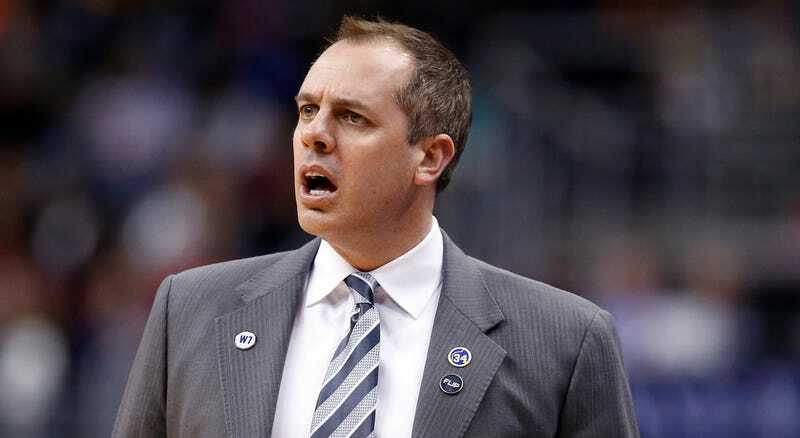 The good news for Vogel is that he won’t be lacking for job offers. If the Knicks don’t at least try to get him, Phil Jackson should be sent away to a retirement sweat lodge.